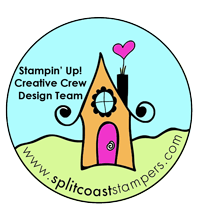 Sale-A-Bration | Stampers With Altitude!!! This card was CASE’d from another demonstrator. Hers was completely different (except for the background strips of GLIMMER paper!) but I thought it was so much fun!! I just had to create my own. 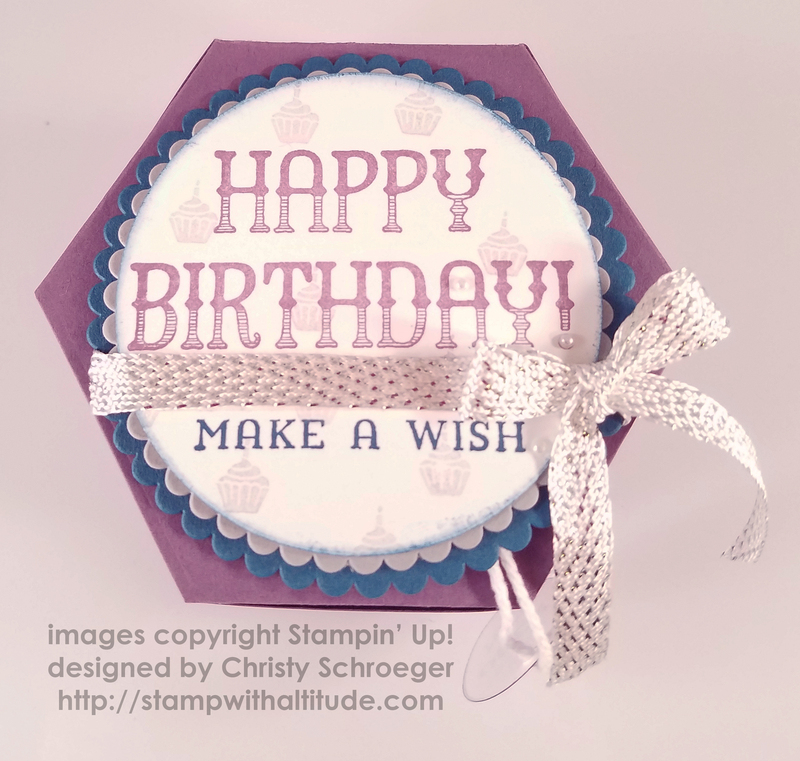 Remember, this glimmer paper is a Sale-a-bration item now. It will only last to the end of March so get yours quick before it sells out! Thick Whisper White card stock, Stazon ink, and colored with markers. That’s it! Deja Vu? LOL Simple. But, elegant. Tomorrow, I will post my favorite of the bunch! This card went to my mother-in-law. She sent me a gift card for my birthday and I wanted to thank her. Phew! I made it through! This challenge was to make 3 cards and SEND them out! LOL!!! At first, it was for birthday cards. I am so bad at my correspondence that I asked if it could be any card (since February is a little light in the birthday department). YES! I am so excited. So, since I knew I would be mailing these cards, I decided to make 4 no-layer cards. Sooooo this card was supposed to be a double. But! I mis-inked it. Now, as you may know, there are no mistakes ONLY embellishment opportunities. Well, in a later card, I did take advantage of that. But not this one. There was no way to save it. Thick Whisper White card stock, Stazon ink, and colored with markers. That’s it! Simple. But, elegant. I will post the other two cards soon. I REALLY liked the way they turned out too. This card went to my sister-in-law. Just because…. Can I just say that I love this… no no… I LOVE this box! I totally LOVE it. Just so you know, January is birthday month! Why? Birthdays fall in every month? Well, my birthday month is JANUARY! hehe. So, I kind of made this for myself. I did change the color combination as promised BUT I reserve the right to run right back to my new favorite one! I used Perfect Plum, Dapper Denim, Whisper White and Smoky Slate. This also uses the Window Shopping Bundle and the SAB ribbon! WOW’sers. Notice the candle cut-outs on the box. They are in every other panel of the box backed with smoky slate cardstock to make it pop!